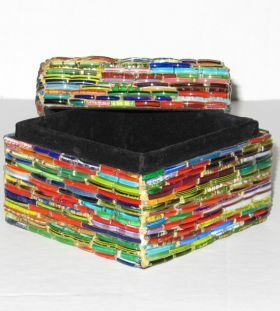 The Rainbow of Bangles Box comes in two sizes. 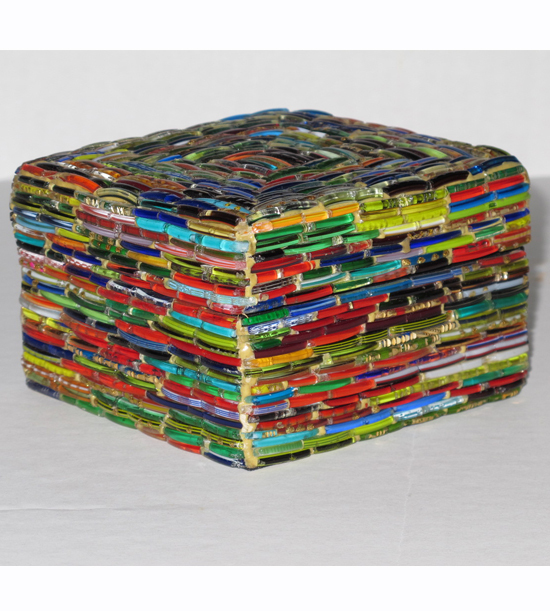 The small size is 4 X 4 X 3 inches. It has a lift off cover. The box is lined with felt. The Rainbow of Bangles Box makes a great gift.